Somewhere in the golden color that shines dazzingly, you can feel something gentle and warm. Bio jewelry Coloridas stocks such accessories that are surprisingly light when you take them into hand. The Coloridas directed atelier shop is the only in the world, focusing on organic “Biojewelry®” made from wild growing gold grass only in a part of the savanna in Brazil. Accessories and interior items incorporate still unknown Brazilian handicrafts, and sticking to the concept of fair trade, the store first goes directly to Brazilian artisans, and deals directly with artisans at reasonable prices. They are developing products for Japanese people with a high sensitivity. As for original products Brazilian handicrafts, besides accessories, the store simultaneously sells interior goods such as hand-knit tableware, and imported goods that are not available in other places. Matching the glow of the natural gold, the interior is accented with Brazilian color canary yellow on a white base, in the midst of which you can feel the excitement of what you might buy. 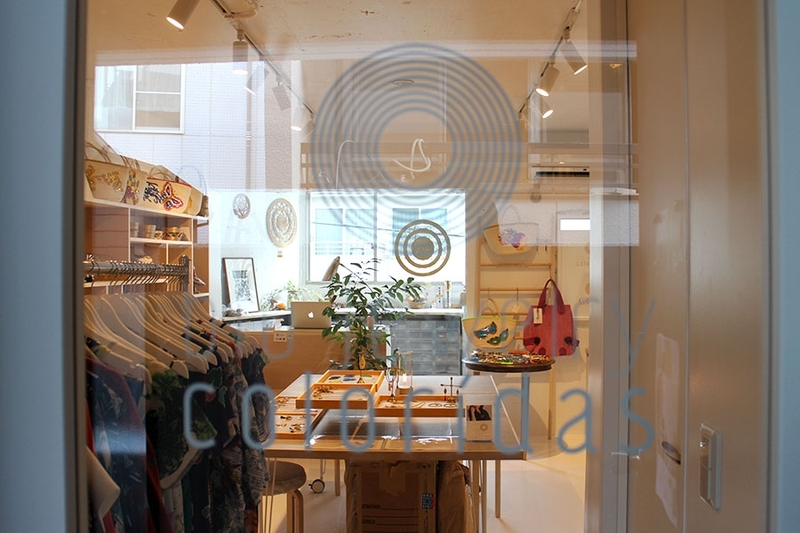 Business hours are Thursday, Friday, and Saturday afternoons at 13:00~18:00, 3 days a week. Regardless of gender or age, please come visit and feel the shine of natural gold. Gold grass teardrop necklace. It is very light. A new work for the 2017 spring and summer. Tassels made from fair-trade silk were attached to gold grass hoop earrings.